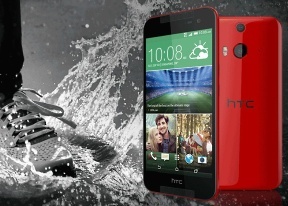 The HTC Butterfly 2 has a Snapdragon 801 system on a chip doing the heavy lifting. It utilizes a quad-core Krait 400 2.5GHz processor, 2GB of RAM and the Adreno 330 graphics processor. With Snapdragon 805 devices already on sale, that's no longer the most powerful combo on the market, but it's still one that delivers plenty of performance. We tested the HTC Butterfly 2 for cheating in a couple of tests and can safely report no shenanigans took place. Jumping straight into the benchmark scores we can expect around the same performance as that of the HTC One (M8) and HTC One (E8) but we've selected a few other notable devices to keep things interesting. First off we're looking at the CPU performance. GeekBench 3 and AnTuTu 5 give the HTC Butterfly 2 the second seed just below the One (E8) but the scores, as you can see don't differ all that much. Basemark divides the score into multiple results - we give you the overall one and the breakdown of single and multi-core performance. The core breakdown scores were good and the overall results differs little from the best in the league. Next we tested the Adreno 330 GPU inside the HTC Butterfly 2. It faced Adreno-only competition here so there shouldn't be drastic differences in performance. And there aren't - the framerates in both the onscreen and offscreen GFX tests show scores on the level of other flagships and gaming benchmark Basemark X gives the Butterfly 2 a third place that's a hair behind the second-seed HTC One (M8). It's fun to watch for imperfections under the hood and comparing the best of the best on benchmark tests. But in reality you really can't buy a slow or bad smartphone anymore, in this price bracket at least. While using the HTC Butterfly 2 we didn't have skipped frames in the UI, prolonged loading of apps or webpages - everything was smooth as silk. And while the HTC Butterfly 2 hasn't earned any prizes for best performance, a couple of points less in a benchmark or a couple of fps less in a GPU test don't mean anything in reality. The Butterfly 2 can stand up to any of its rivals and won't be humiliated.